Few people are familiar with the Mediterranean isle of Pantelleria, located off the south west coast of Sicily. Its virtual isolation renders it a modern-day eden of unique plant species and awe-inspiring vistas that extend out over rocky bays and emerald green waters. The island of Pantelleria and its wealth of fragrances that pervade the cliffs, the paths and the surprising woods all serve as the inspiration behind Profumi di Pantelleria... a fascinating series of eight perfumes that each capture the essence of this far-flung isle. Executed by nose Maurizio Cerizza under the diligent direction of Calé's Silvio Levi, Profumi di Pantelleria have been fashioned with a great sensitivity to the art, and, I expect, the destination. Below are my brief insights on each of the scents from this appealing portfolio. 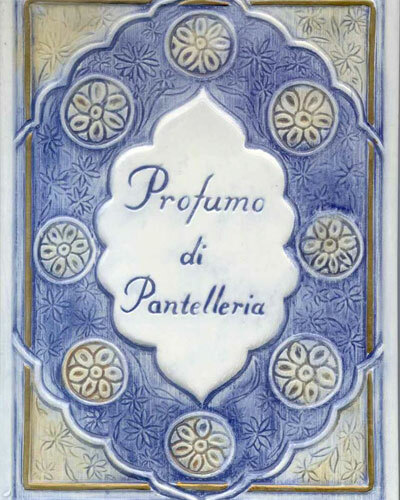 "Il Profumo di Pantelleria" is a stirring citrusy green eau de parfum which is every bit as warm and sunny as a flourishing citrus glade where waxy leaves sparkle with morning dew and bushels of climbing jasmine and fragrant lavender are visited by humming, well-intentioned honeybees. Tufts of aromatic herbs like rosemary and and thyme furnish the perfume with a definite sense of the Mediterranean. The Angel-esque perfume "Jailia" draws upon Pantellarian folklore of a beautiful Princess, and explores the essences of an enchanted garden. Rich and voluptuous notes of peach, tangerine and honeyed red fruits provide a lip-smacking prelude to a darker woody-amber base of vanilla, chocolate and patchouli. Jailia blankets the skin like the firm, enduring embrace of a lover... it is more-ish and compelling. According to the notes accompanying my sample, "Dammuso" is the olfactory interpretation of the antique Pantellarian domicile; where families converge to recount their day in an ideal "buen retiro" surrounded by gardens. To my nose, however, Damusso is the Italian equivalent of a French l'eau... that is, an uncomplicated scent that vivifies and uplifts; here with shimmering citrus topnotes, and an enduring drydown of blackberry, green tea and pale musks. "Nica" is an enchanting reference to the cornucopia of flowers, vineyards, and orchards prevalent on the island. Its opening accords of champagne grape and tangerine dance rapturously over a floral posy of yellow freesias and purple violets... the result is distinctly feminine in nature. Nica is vital and spritely and resonates in the nose in the same manner that a woman's laugh resonates in the ears. The weightless eau de parfum "Aire" pays hommage to the shadow-speckled corners of the island where one can enjoy some welcome respite from the sun... the temperature sinks to a sympathetic degree with gentle gusts of white tea, white pepper and a tiny scattering of soft florals. Aire is as transparent as the open sky where crying gulls soar motionless on crisp oceanic updrafts. An enduring base of white musk and creamy tonka lingers on the skin like a rippling white hair-ribbon whisked away on the breeze. 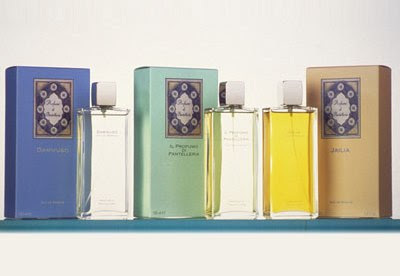 Aire would also serve as a spectacular way to scent your linen! Whilst the majority of scents from this line can be easily enjoyed by both sexes, "Maestral" is potentially the most masculine of the line. I can easily fathom the inspiration for this perfume being the rugged Pantellarian shoreline, with its rocky cliff faces and wind-swept shoals. Rum, rhubarb and aromatic lavender communicate a sense of comfort and familiarity whilst cardamom, vetiver and cedarwood evoke a feeling of resilient, grounded earthiness. A tiny floret of iris and jasmine perhaps remind us that within every man there is a tenderness to be found. Maestrale is as bold and commanding as the rolling sea; yet as tranquil as the calm that comes after the deluge. A personal favourite. "Tanit" was the name given to the goddess who was celebrated for centuries in the Mediterranean basin, and also the name given to this tenacious eau de parfum - one that demonstrates an epic strength of character. Tanit is unrelenting in its femininity with aromatic topnotes of basil and zesty ginger coupled with a variety of dramatic florals: peony, magnolia jasmine and osmanthus. A delicious undertone of patchouli and musk liken it in style to the exotic attars of Asia Minor. 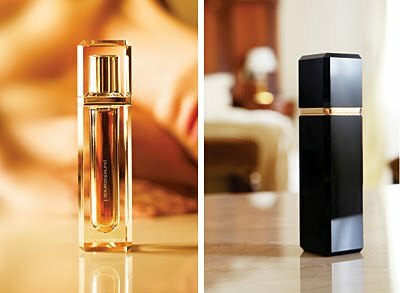 Just as the notes supplied with my sample suggests, Tanit represents "feminine sensuality combined with determination and presence of mind". Finally, there is Approdo, a perfume that marries the scent of the sea with that of the land; where salty, mineralic notes lap gently against basil, tangerine, soapy vetiver and summery Mediterranean flowers. Approdo is clean and refined and evokes a strong sense of basking under a warm Mediterranean sun on the stern of a boat with a sheer spray of saltwater settling across your body. Unfortunately, many of us will never visit the shores of Pantelleria, but Profumi di Pantelleria offers the wearer a unique and rare opportunity to experience her from afar. And for those who have had the pleasure of walking her worn tracks and who have looked out over the Mediterranean from an outcrop high above the sea, what better a souvenir to take home with you? Profumi di Pantelleria are available from www.essenza-nobile.com and retail for 105 euros for 100ml. Puredistance: the sum and substance of a woman. The cathedral-lined streets of Vienna, Austria make home to countless mansions and apartments with stunning ornamental baroque facades. As the birthplace of Mozart, there is a feeling of romance at every turn where one might expect to hear the strains of a harpsichord cart-wheeling down from a window, or the clatter of horse-drawn carriages across worn cobbled stones. In keeping with the same sense of opulence and lavishness that has permeated the city for centuries, the Puredistance Perfume Lounge was created in the heart of the capital to serve as company headquarters from where one of the most distinctive fragrance and luxury brands has been born. Puredistance I is the perfume that exemplifies both the imagination of company founder Jan Ewoud Vos, and the efforts of New York master perfumer Annie Buzantian (whose professional portfolio includes numerous commercial successes for Lauder, Armani, Ralph Lauren and Diane von Furstenburg). Presented in weighty Swarovski crystal columns accented with 24K gold or high grade polished steel; and packaged in silk-lined leatherette boxes with magnetic closures, Puredistance I embraces refined luxury and sophistication from the get-go. But beyond the glacial, hard-edged crystal shard and sanitary snow-white packaging, the amber-coloured juice residing inside surprises with its warm, companionable, resolutely feminine air. Puredistance I, with its exotic topnotes of tangerine flower and cassis and dewy, wet ozone/acquatic characteristics, evokes a resemblance to ritualistic bathing in a secluded forest spring. Delicately blended floral facets of magnolia, jasmine and mimosa tumble like cascading spring petals, which rouse and enchant with a beguiling, sensuous aura. It is as chaste as it is seductive, and its deeply inspiriting dry down of honeyed amber, earthy vetiver and voluptuous white musk lingers long on the skin. These basenotes imbue the air with a mood of carnality and compulsion. If one can imagine a perfume that embraces the fundamental sum and substance of a woman - one that enchants as much as it bamboozles - and succeeds in speaking to every man and his virility, Puredistance I could be it. Puredistance I comes in a generous pure parfum concentration of 32% and is available as a 17.5ml perfume spray. The bottles can be purchased and used independently of the hand-crafted limited edition crystal columns, but for the ultimate gift, the Puredistance crystal column in either clear crystal or jet black, is the ultimate everlasting jewel. Visit the Puredistance website for further information as to the hand-selected stores where Puredistance I can be purchased. 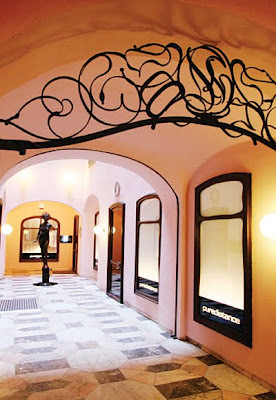 Sorcery of Scent has a scarce boxed 1ml sample of Puredistance I (valued at 15 euros) to give away to one lucky reader. To enter the draw, leave a comment on this article - ensuring that your contact email address is visible on your blogger profile - and a winner will be picked at random and announced here in a week or two. Twice I have visited London, and twice I have been delighted at how many random people on the street simply smell fabulous. As I meander through the throng around Victoria station or through the posh laneways surrounding Bond Street, it feels as though every few meters I turn on my heel to inhale the fragrant molecules suspended around me as I stroll through some anonymous person's sillage. 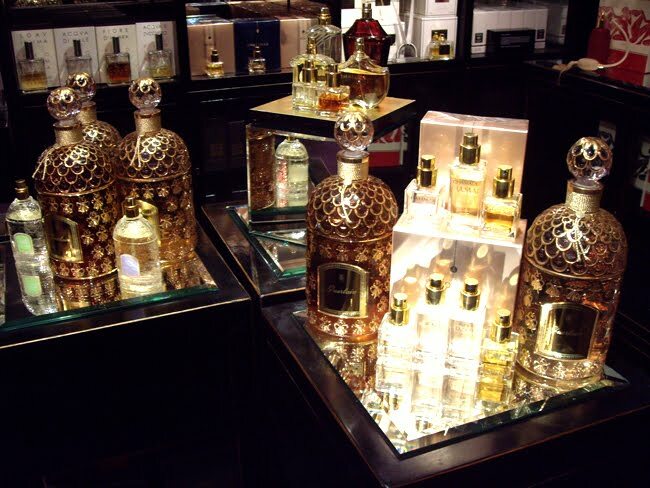 London is a wondrous destination for perfume lovers, and you would be doing yourself an injustice if not taking an excursion to the Roja Dove Haute Perfumerie on the top floor of Harrods in Knightsbridge. If you can fight your way past the clueless sales assistants wielding glazed expressions and pre-spritzed blotters on the ground floor and head for the escalators, you will soon see that the cream always rises to the top as you push through the heavy glass doors and enter the opulent environs of the Roja Dove retreat on level 5. On the day of my visit, I was greeted warmly by manager Annette Nejad whose sincere welcome set the tone for my visit. The walls of the retreat are painted a dramatic midnight black, and recessed halogens pick out the faceted faces of a hundred twinkling flacons; some housed in airtight vitrines, and others under hand-blown vintage domes. 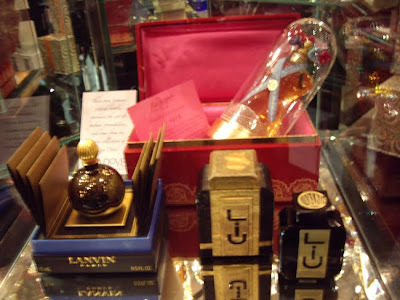 For the fragrance aficionado, this space is a treasure trove of stunning vintage artifacts and one can't help but marvel at rare and precious pieces from Roja Dove's personal perfume collection that are dotted around the store. Annette will allow you all the time in the world to explore their fragrant inventory, but when asked about a particular perfume, she or one of the in-house fragrance experts will offer a wealth of fascinating information, as one might expect of such an establishment. Boasting arguably the most substantial niche perfume collection in London, as well as the exclusive fragrance trio that bear the Roja Dove name: Scandal, Unspoken and Enslaved, the Roja Dove Haute Perfumerie caters to a clientele with an appreciation of perfume that is a head and shoulders above the norm. "Being located on the top floor of Harrods and tucked away behind the Urban Retreat, we recognize that when someone walks through the doors of the Roja Dove Haute Perfumery, they have sought us out specifically", says Manager Annette. 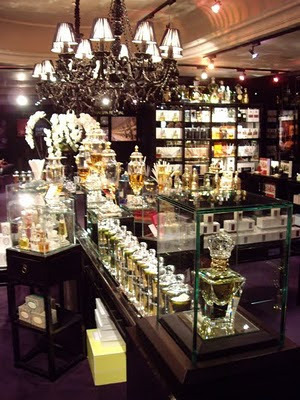 "Our selection and service represents the pinnacle of Haute Perfumerie". We talk for a long while and Annette and assistant Miles walk me through a number of exclusive and almost-unheard-of fragrant releases, each of which have been hand-selected by Roja Dove himself as being unique or innovative in some way. I find the conversation to be totally engrossing and whilst glancing at my watch, am shocked to find almost 40 minutes have elapsed since first stepping into the store. With hesitation, I announce that I must press on, but prolong my departure a little more to engage in some more fascinating discourse, and sniff at some more extraordinary blotters. On a previous visit to the Haute Perfumerie I purchased the "Essence of Perfume" book. 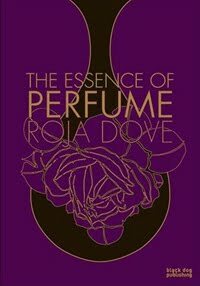 With lovely images from Roja Dove's personal collection, and interesting narratives on key historical perfume releases, I can personally recommend it. 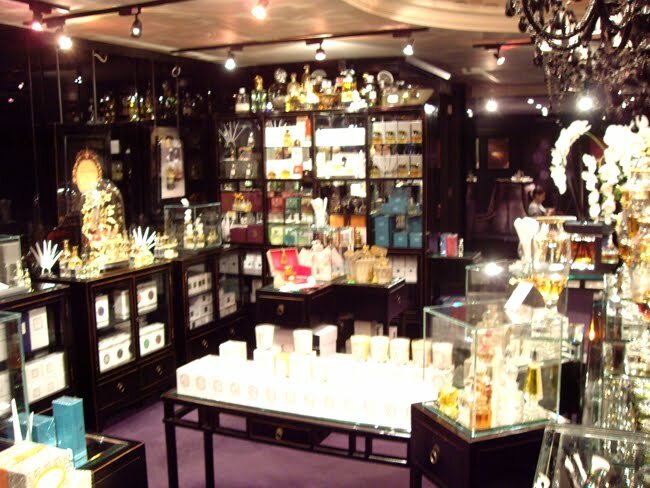 In addition, the Haute Perfumerie offers one-on-one personal consultations to assist you in finding a new sensory soul-mate. More details on Roja Dove and the Perfumerie's services can be found on the Harrods Urban Retreat website.